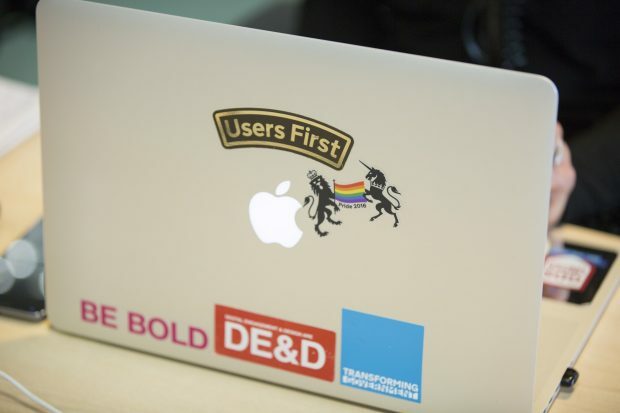 It's international Pride month (and Pride week in London) and we wanted to show solidarity and reflect the diversity in the GDS team – so we created some stickers, graphics and posters to present that to everyone. The LGBT+ rainbow is an iconic symbol. 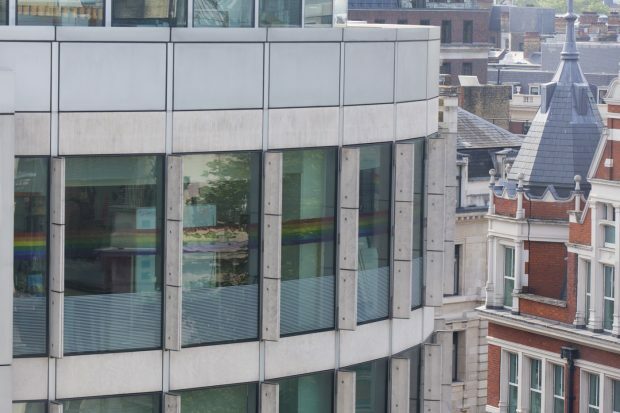 By running it across our office windows on two floors, we want to not just show support to people who work at GDS, but also to demonstrate our commitment to diversity to the world outside. 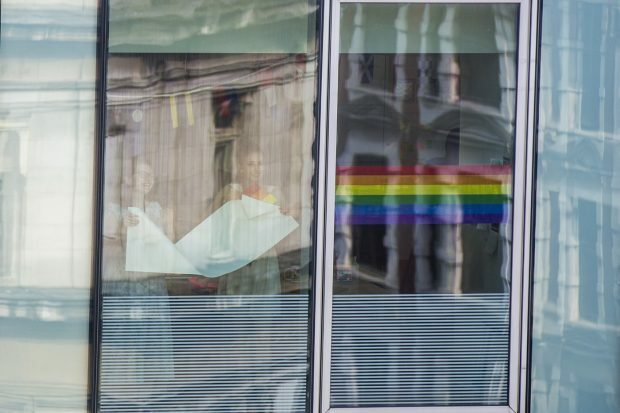 We printed the rainbow on huge sheets of semi-transparent wrap, and a group of us came in before work one morning to stick them on to the windows. We had to move quite a few Post-it notes and we all ended up with pretty sore arms. As well as making the unmissable window wrap, we also wanted to help share the feelings and opinions of LGBT+ people across government. 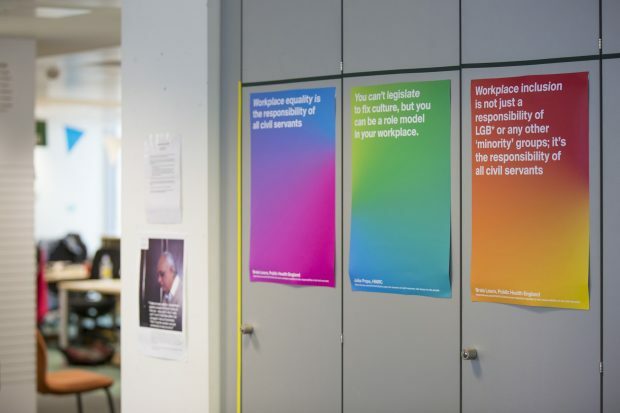 To do this, we created a series of posters featuring quotes from the Civil Service Rainbow Alliance and put them up around the office. At GDS, we are fond of using stickers to help communicate our values. For Pride, we created stickers that combine the rainbow with another iconic image – the government crest. These are easy to circulate and easy to share both in and outside the workplace. Being visible about our support for Pride is important and it’s great to have the opportunity to make such a colourful impact. No member of staff can fail to see that this is an environment that celebrates diversity. The stickers and posters can be downloaded here: www.govdesign.tumblr.com. And if you’re around Holborn, have a look up at the building across from the Tube station. We’re flying the flag for diversity, and we’re pretty hard to miss.